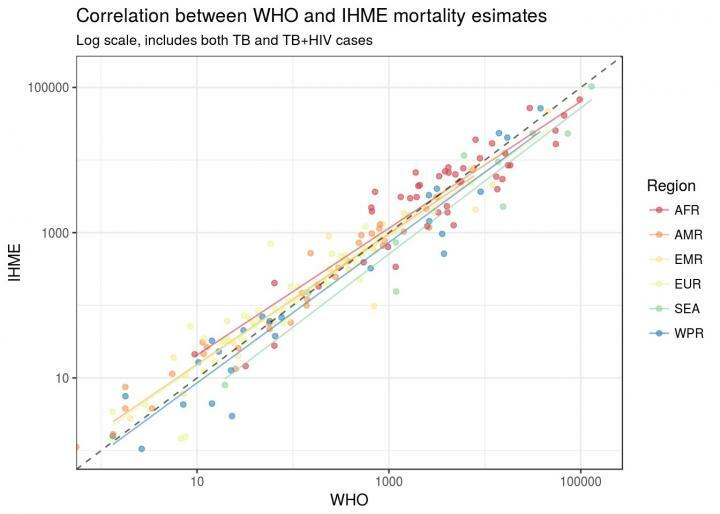 The discrepancies between the estimates for global tuberculosis deaths by the World Health Organisation (WHO) and the Institute for Health Metrics and Evaluation (IHME) is due to different methodologies and data sources used by each institution. These differences are considerable in terms of absolute numbers for a dozen countries, according to a study led by ISGlobal – an institution supported by "la Caixa" Foundation. The results highlight the need to improve the modeling approaches in these countries in order to understand the true burden of the disease and design adequate health policies.